This brilliant thriller centers on an abducted teen who’s not the “average” victim. Take nearly everything that’s ever been written (fictionally or not) about what happens to kidnapped girls (they often end up dead) and toss it out the window. This is the premise for first-time novelist and lawyer Shannon Kirk’s brilliant Method 15/33, and it delivers, big-time. Lisa Yyland is yanked off the street near her home by kidnappers who intend to sell her baby to a wealthy couple who want a blond, blue-eyed male baby and are willing to pay for it, regardless of the potential consequences if this illegal action is discovered. What they didn’t reckon on was their intended victim having far more going for her than the average teen. Lisa is whip-smart, a borderline clinical sociopath who’s learned to live in the world instead of trying to conquer it. She also possesses a fierce maternal instinct, which becomes the guiding principle in her efforts to survive and escape her captivity. She has been blessed by genetics and home environment with everything she needs to accomplish this goal, but she’s still human. Her pregnancy, age, and consequently still-developing brain diminish her ability to plan for every last possibility; these are biological and experiential obstacles. But Lisa knows how to get past them, and has no qualms about freeing herself by any means necessary. Kirk’s choice of such a protagonist for this crime thriller is utter gold. This novel presents a situation for Lisa that could have been another girl-in-trouble novel in the hands of a less skilled writer, but never goes there. Themes in this novel are obvious but never preached—how human personality forms, what female empowerment means in the face of desperate circumstances, and issues of trust are just a few. 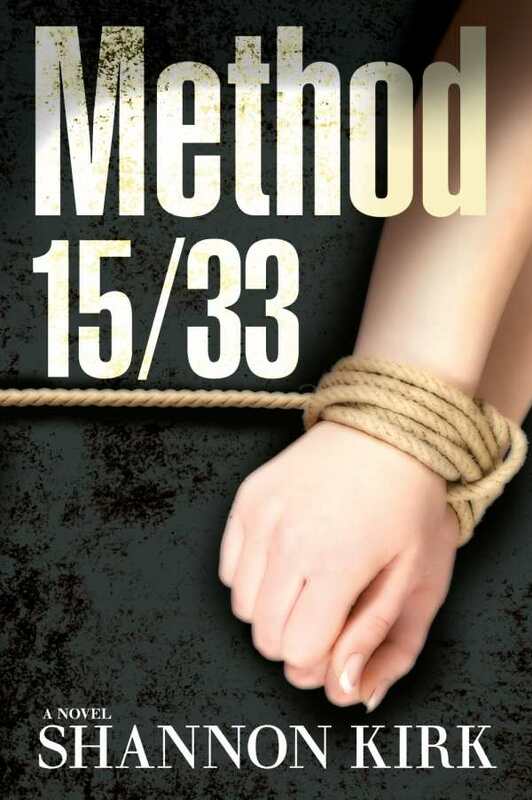 Written in first-person point of view, Method 15/33 is intense, character-driven, thoughtful, and emotionally satisfying. In this novel, the villains have very few mitigating qualities, which is an accurate reflection of a certain segment of the human population as well as necessary for the story to work. The bad guys here are seemingly regular people who do things most of us abhor. There are, indeed, bad people in the world, and Kirk allows her characters to deal with them in ways that make sense and feel right. Revenge and justice are not mutually exclusive in Lisa’s world. There’s also room at the novel’s end for more forays into Lisa’s post-kidnapping world. Should Kirk decide to do a follow-up novel, or even start a short series, such a move would be a welcome event. Method 15/33 is a solid winner.